You've got a new website up, a new blog post, or even a brand new Facebook ad you want to run. There's no reason to be alarmed by the cost of stock photos. We've put together the 49 best websites for free stock photos. You'll be sure to find something you can use on one of the sites below. We've even organized them by best use. Foter boasts having access to over 335 million stock photos within their database. 220 million of these photos are licensed under the Creative Commons. You can either type in your keyword within the search bar or start by their concise list of categories. Embed code may be customized so that it fits certain dimensions within your website and it will automatically insert any required Creative Commons attributions. 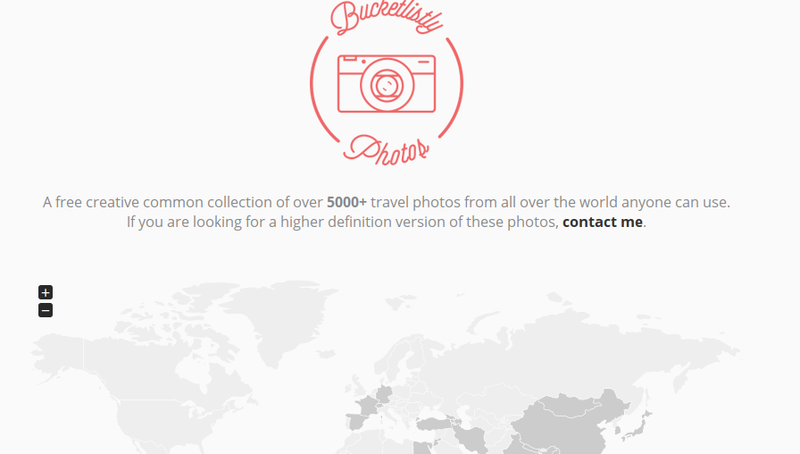 Pixabay is a search engine that has access to over 1 million stock photos and growing. The photos are free to use as long as if falls under the Creative Commons license. They even have an application available for iOS and Android. StockSnap has a searchable collection of high-resolution photos that are not bound by copyrights. You can discover photos by searching keywords or by looking at the latest posts on their Trending page. This service was created by Snappa, which also makes an online graphical editor. Finda.Photo Free Stock Photos has a simple and clean search engine to find CC0 licensed stock photos. They have options to search by keyword in the search bar, by popular tags, by source, or even by color. Unlike some other photo searching services, Finda Photo is not clogged with advertisements or other distractions. Unsplash is a great source of high-quality artsy photos that are suitable for just about anything. This website is more community-based and the photos are mostly voluntary submissions by independent photographers. If you subscribe with your email, you will receive 10 images every 10 days as a way to discover new content. Flickr is known by mostly everyone and they have years of reputation as a photo-sharing website. With their directory of billions of photos, you can find just about anything through their website. The drawback is that their website is more about quantity than quality so it may be harder to find professional-tier images. Images on Flickr have various image licensing so be sure to read the fine print before using the image. Just as the name implies, Free Images is a source of stock photos that are free to use for whatever project you have. They have a collection of mostly generic images that are separated by many categories and can be scanned through their search function. You will have to give credit to the author if it is for editorial or audio/visual purposes. New Old Stock is a collection of antique photos (that are mostly in black in white) that may be used without licensing or attribution. The majority of these photos were recovered from government agencies or stumbled upon in estates sales. If you need some stock photos for an old-fashioned themed website, this would be an interesting choice. The Public Domain Archives is a collection of modern and vintage photos that are available to the general public. They have several categories of high-definition photos that are ready to be used for personal or commercial purposes. If you sign up for their weekly newsletter, you will receive free stock images in your email. Magdeleine only has curated high-definition photos that you may use on your blog or website. Most of the photographs on the website are submitted by the community and only the best are chosen to be displayed in the gallery. Burst has a selection of free images that will be perfect for your Shopify store. They have images that can accommodate several different industries. You have the rights to copy and modify these images for your online store. Superfamous Images provides free stock images that are OK to use for your online store. They have a lot of nature and abstract images that are taken in high-definition. Pexels has a collection of thousands of photos that can be integrated into your online store. Over 70 new photos are added to the collection every week and are all royalty-free. Sift through their compilation of HD photos to see if something fits your store. Stock up is an extremely simple royalty-free image finder that has many objects suitable for an e-commerce store. Every Stock Photo is one of the largest search engines of generic public domain photos.This Canadian company had launched in 2006 and is currently owned by Vibrant Software. Since the photos are taken from different sources, there will be a wide variety of licenses to sort through. There are currently over 21 million images of mostly generic images to choose from for your e-commerce store. 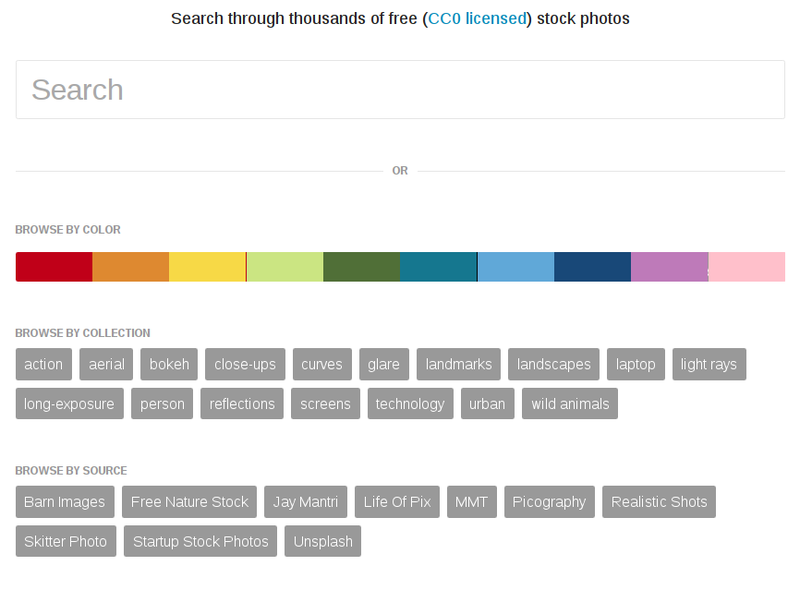 RGB Stock has a directory of over 100,000 photos that are royalty free. You may search their database with keywords or by generic categories. If you register for an account, you can create embeddable galleries of images to use for your e-commerce store. Stock Vault is a free stock photo resource with over 35,000 images available. The photos are contributed for free by artists and photographers within their community. They have images of just any object imaginable so you might find something fitting for your Shopify or e-commerce store. Startup Stock Photos is an ideal source of images to use with your new online business. Many of the photos are ideal for professional blog posts, promotions, or even the e-commerce store itself. Browse through their professional images to see if there is something that you can use. MMT publishes royalty-free images that are suitable for commercial use. Many of their photos are high-quality snapshots of generic items that can accommodate a large variety of businesses. Everything is covered by the Creative Commons CC0 license. Realistic Shots provides free stock photos that are OK for personal or commercial blogs. The add 7 new realistic photos every week to add to your collections. Bucketlistly is ideal to proved photos for blogs in the travel niche.They feature images from all around the world and especially in Western Europe, Asia, and Latin America. Foodies Feed is dedicated solely towards providing royalty-free food pictures for food-related bloggers to use. Many of the photos give overhead views of various dishes or ingredients. The images are covered under the Creative Commons Zero (CC0) license. Stokpic is a simplistic stock photo collection for commercial or personal usage. The website was started by the independent photographer Ed Gregory, who decided to start giving away his own photos for free. They have multiple categories to choose from including animals, architecture, food, nature and more. Gratisography is a creation of the famous photographer Ryan McGuire to distribute his work royalty-free. The images have a quirky yet high-quality look that can make for some interesting blog posts. Split Share has a responsive and easy to use design to find high-quality photos to use in your blog. Many of their HD professional images are used in some of the top blogs and news websites like The Huffington Post, CNN, and various magazines. Life Of Pix is a simplistic photo directory with curated high-resolution images. It has a clean, simplistic, and responsive design that will allow you to find the perfect pics for your blog post. They have weekly updates on their social media accounts highlighting undiscovered talent. NegativeSpace is a convenient resource to graphics professional quality photos to place in your articles. The images are curated so that only the high-quality photos are displayed and everything is under the CC0 license. Morguefile is a huge directory of photos that bloggers or designers may use to modify into their own works. Bloggers may edit the images to fit the narrative of their blog or even add text for promotional purposes. Using images without modification requires permission from the original artist but it is often permissible. The Pattern Library provides modifiable images and patterns to be used for editors and web designers. These patterns and generic images are perfect to be used as backgrounds, templates or banners. Most of the patterns are submitted by independent design artists who want to contribute to the project. Kaboom pics is ideal for a web designer or artist since it has an advanced color search utility to match your desired palette. You may also search for images by orientation, mode, and keywords. Amazingly, the entire selection of photos is provided by Karolina, who is a photographer and web designer. IM Free is a website that provides royalty-free images to be used with web design or marketing. They have a wide variety of generic images featuring objects, people or nature, They also have various templates and icon images that may come in handy for web design. 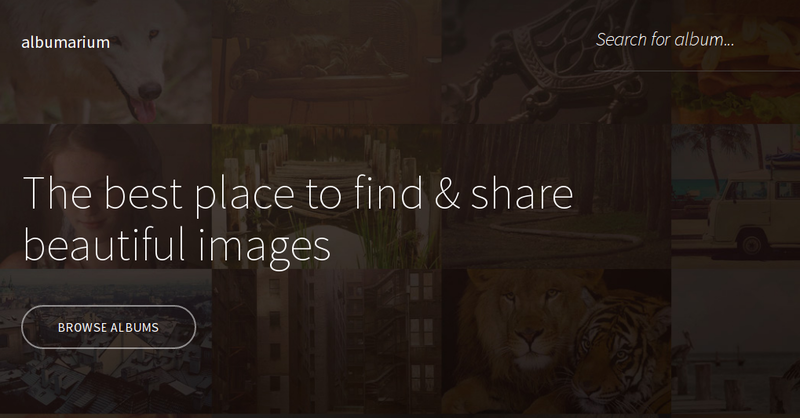 Splashbase is an image aggregator that compiles available stock images from multiple sources. This is useful for finding a wide variety of templates, icons, or background images to be used with web development. Cupcake is a compilation of high-resolution images that may be ideal for backgrounds or banners. Jonas Nilsson Lee owns the website and regularly produces HD content in mostly outdoor settings. All of the works of art on the website are licensed under the Creative Commons license CC0 license. Epicantus has weekly updates of photos that are suitable for landing pages, backgrounds or graphic designs. Daria, the one hosting the page, is offering free images because she understands the struggles of finding images for landing pages as a UX designer. Designer Pics is a project dedicated to providing images for web and graphic designers. These images are sorted by industries like architecture, technology or food & drink. These high-resolution photos do not require royalties or attributions. Graphicstock is an absolute dream for web and graphic designers. They have a very in-depth repository of vectors to be used for image manipulation. They also have a variety of stock photos with numerous categories. You have unlimited access to download the over 300,000 images in their stock. Shot Stash is an amazing source of royalty-free images that can be used for backgrounds or banners. Choose from several different categories to see what is right for your web project. Images may be used for personal or business purposes and do not need attribution. Little Visuals is a convenient service that gives you 7 free stock images that would have otherwise been premium. Generic images like buildings, landscapes, and various objects are the themes of most of their photos. These HD images will make great backgrounds for a website. 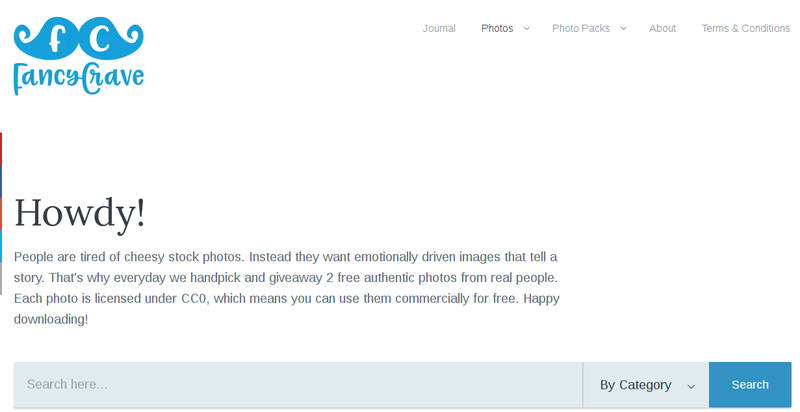 Pic Jumbo is a collection of over 1,500 stock images with 100% free usage rights to bloggers, marketers, or even just to use on social media. The project was started by the young photographer Viktor Hanacek who decided to distribute his photographs for free. Fancy Crave is a basic image searching website that has social media friendly images from some of the best photographers online. Many of the images are bright, vibrant, and attention-grabbing, and it is ideal for social media marketing campaign. Jay Mantri offers his work to the world to be used for free under the Creative Commons CC0 license. Although the selection is small, there are many breathtaking urban images that can be used on your social media page. The ISO Republic offers an amazing selection of HD images to be used for creatives, including bloggers and marketers. Many images have vibrant colors and eye-grabbing textures that would be perfect for Instagram. Tom Eversley, who is an English designer and photographer, is the mastermind behind the website. Free Refe is the free section of the Getrefe stock image website. Their images are very unique, high-quality, and have an emphasis on real-life aspects. Photos can be used royalty free but cannot be resold. Image Base is a simplistic search tool that produces 100% free photo results. You can search via keywords or several of their generic topics to find photos that fit your social media campaign. It is permissible to use these photos for commercial, educational, or personal uses. Albumarium offers a gallery of free and high-quality images to be used for your social media campaigns. You can sift through their galleries and sort through categories like animals, cities, people, nature, metro, and more. Images on this website use the Creative Commons Attribution 2.0 license. Free Nature Stock is a neat compilation of nature-related images found on one website. These images may be suitable to use in your nature-themed social media posts. Since it is under the Creative Commons Zero, you are free to do whatever you want with their images. 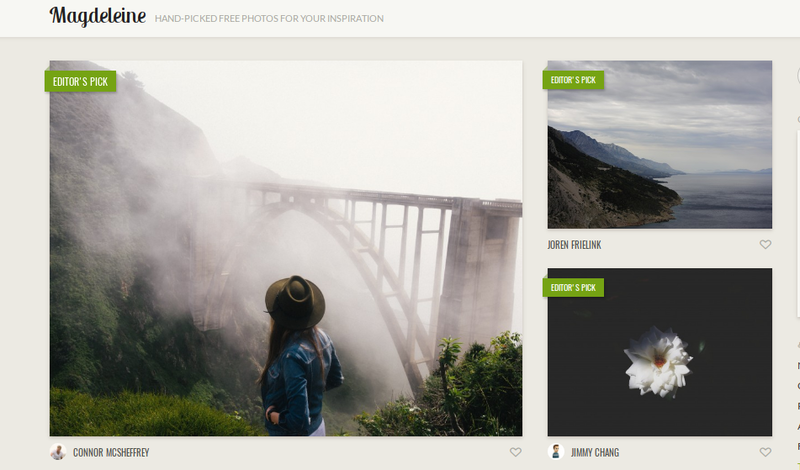 Free Stock Photos does exactly what their name implies and provides stock photos at no cost. Their database is humungous with over 20,700 images that are under public domain. You can find plenty of photos for your social media campaign without the need for accreditation. Death to Stock Photos is a convenient service that delivers 10 free stock photos to your inbox on a weekly basis. This high-definition photos will be the perfect match for any of your social media campaigns. They have their own proprietary license that allows you to use the image in any way as long as you don’t redistribute.